Pound Sterling has staged an impressive recovery against the Euro as markets approach the month-end period and the end of a day that has seen extraordinary volatility. The UK currency has recovered the lion's share of the ground it lost to the Euro over the course of the past 24 hours following the release of surprising poll results from YouGov which showed the Conservative party's majority could well be lost at next week's General Election. The recovery is even more impressive elsewhere with the UK currency now enjoying gains of 0.32% against the US Dollar and a whopping 0.73% advance on the Australian Dollar. “Sterling is flying at month end. 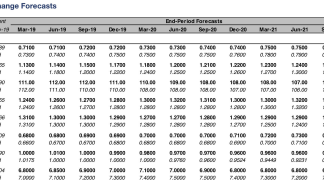 Some month-end positioning and new polls showing a renewed Tory lead helped lift the pound over the $1.29 handle, amid signs that trading in sterling will be fairly choppy in the coming days," says analyst Neil Wilson at ETX Capital. Month-end positioning refers to the process whereby global money managers balance their portfolios to account for moves in the foreign exchange markets over the previous month. It would appear that a highlight of this month's rebalancing involves buying Sterling. However, markets remain fixated on the polls and the latest Panelbase poll certainly went Sterling's way. The results showed the Conservatives on 48%, up from a previous poll on May 15 of 47%, while Labour is on 33%. "After coming under pressure last night off the back of that YouGov survey, another poll showing a healthy lead for the Tories has sent the Pound surging higher again. A 15-point cushion is more what Theresa May and co. would like and this seems to be reining in some of the bearish bets on the Pound," says Wilson. Wilson does however caution that it’s hard to be particularly bullish when we have this added political risk premium which looks set to persist until after the vote. The GBP/EUR exchange rate fell close to 1.1440 at one stage before recovering to current levels at 1.1462. It’s all about polls at the moment isn’t it. While signs of a Conservative recovery in the polls would be the headline positive for Sterling over coming days, there is another piece of the political puzzle to watch - Scotland. A survey for STV, conducted by Ipsos Mori, shows support for Scottish independence has dropped since a previous poll in March this year. The prospect of a second Scottish independence vote is another one of those political uncertainties that Sterling does not like. So signs that the Scottish Nationalists might have to delay plans for a second vote will be welcomed by those hoping for a stronger Pound. At 22:00 YouGov released a poll for the Times that showed the Conservative’s were on track to lose their majority. Recall that much of the Pound’s rally in the April-May period was premised on the assumption that Theresa May would be handed a larger majority that would give her a stronger hand in parliament while also taking away the need for elections in the Brexit transition period. This poll is however different to others in that it is YouGov’s first constituency-by- constituency estimate of the election result. It predicts that the Conservatives would fall short of an overall majority by 16 seats, leading to a hung parliament. The party is forecast to win 310 seats against Labours 257. A majority is achieved with 326 seats. “The hopeful expectation that PM May had made a calculated move and was gunning for a bigger majority in parliament is now at risk as polls suggests that PM May may not win as much or could even risk having a hung parliament,” says Saktiandi Supaat at MayBank. MayBank continue to stress that GBP direction will be determined by opinion polls - if the narrowing of Conservatives’ lead is temporary or will continue. We would expect a recovery in the Conservative's position to now start being positive for the currency's outlook in that certainty and continuity always tend to be favoured by currencies. “Further narrowing should see GBP unwinding its post-election announcement gains towards 1.25-1.26 levels. But a widening of the lead may limit the downside,” says Supaat on the GBP/USD outlook. The YouGov poll on which this is based in not comparable with the broader run of opinion polls and YouGov attaches a very wide margin of error to the results. Traditional polls continue to show the Conservatives’ lead narrowing, though less dramatically. It is important to point out that we are not seeing any fresh lows in either GBP/USD or GBP/EUR which suggests the downside in Sterling looks pretty well contained for now and markets are taking the YouGov poll with a pinch of salt. 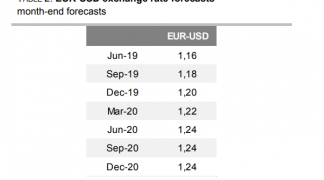 The swathe of support in the 1.1350 – 1.1250 region could act as a safety net to any further weakness in the exchange rate, according to analysts at Associated Foreign Exchange (AFEX). “As elsewhere Sterling prices here are currently under pressure again and although demand at 1.1350 or 1.1250 limited re-emergent weakness on prior occasions this is not in itself enough to prevent a downside range break over coming weeks,” they said in a note to clients. What is more certain is that the bar is quite high on the outlook turning more bullish outlook. “Fresh bounces now face resistance beginning at 1.1625 and only above 1.1725 as well reduces risk of an extension towards 1.1000 being witnessed going forwards,” said AFEX. Analyst Karen Jones at Commerzbank tells us she is neutral on the Pound’s outlook against the Euro for now. She notes that neither side has been able to do any damage to the other and says the exchange rate is neutralising which should lead to a period of sideways movement from here. However, strategist Adam Cole at RBC Capital Markets reckons now is the time to bet against the Euro. "We are still negative on GBP but wary of drawing too many conclusions from the latest prediction. We went short GBP against EUR in our G10 trade of the week yesterday," says Cole in a note dated May 31. Can this Poll be Trusted? However, there is certainly an element of caution amongst commentators as to whether the poll should be trusted which implies the damage done to Sterling could be relatively limited. The latest Electoral Calculus findings suggest the Conservative majority stands at 92. The Electoral Calculus predicts the General Election result using scientific analysis of opinion polls and electoral geography. Martin Baxter who runs the Calculus has been making election predictions for twenty years and has more pedigree than YouGov's new method. Nevertheless, YouGov stand by their new findings. YouGov Chief Executive Stephan Shakespeare told The Times that the model had been tested during the run-up to the EU referendum last year and that it had consistently put the Leave campaign in the lead.